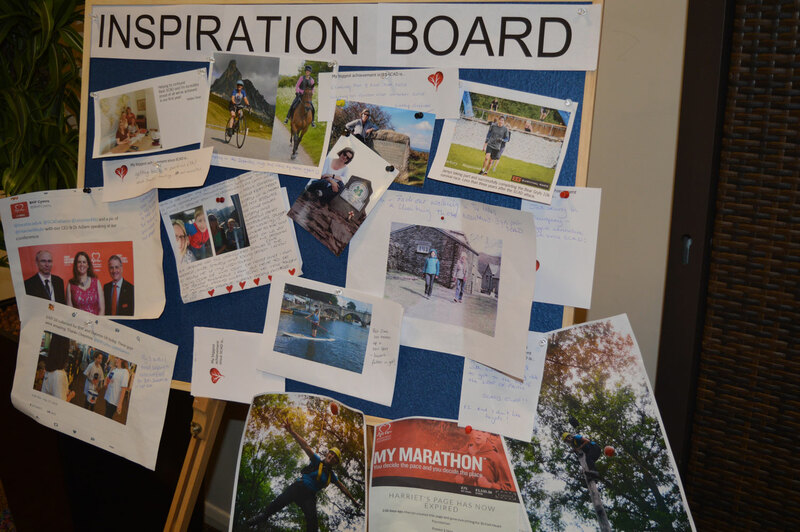 At the Beat SCAD Conference in November, we asked delegates to post photos and messages on our Inspiration Board showing what their achievements have been since they had their SCAD events. 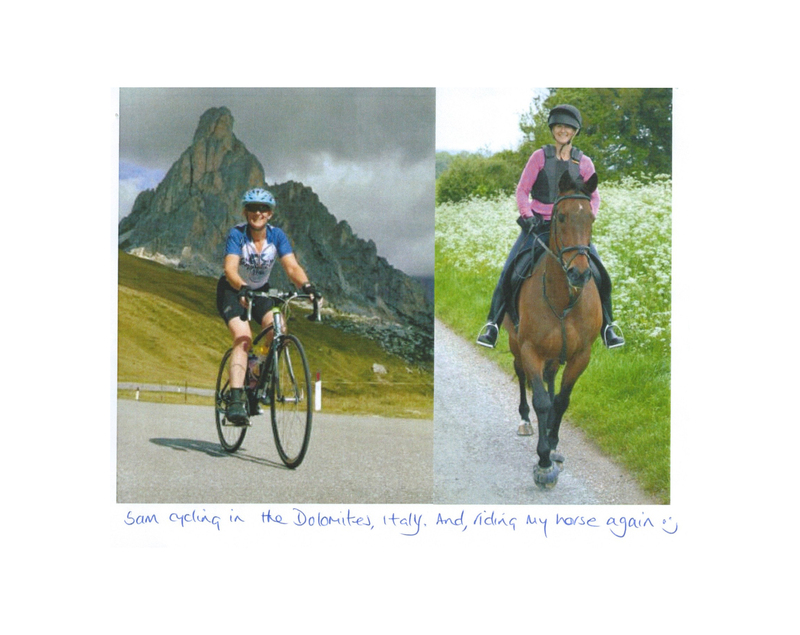 We had a wonderful response and the messages and photos went a long way to encouraging newly diagnosed patients, many of whom struggle to see how they will get their lives back. 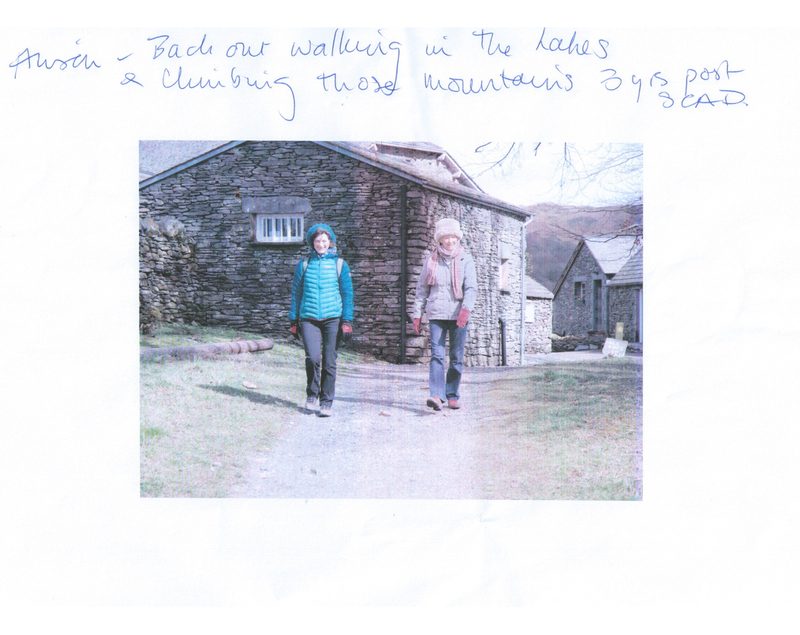 All the messages and photos are displayed in the gallery below. 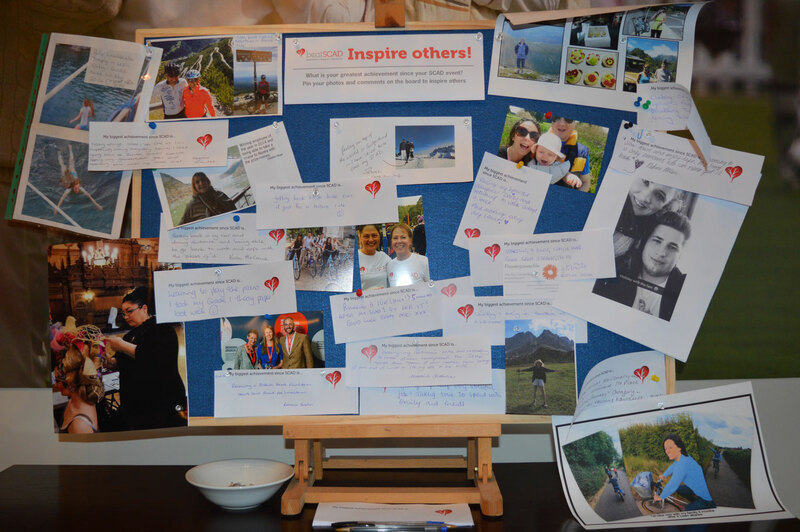 Thanks to everyone who posted their achievements and inspiring others with what you’ve done. 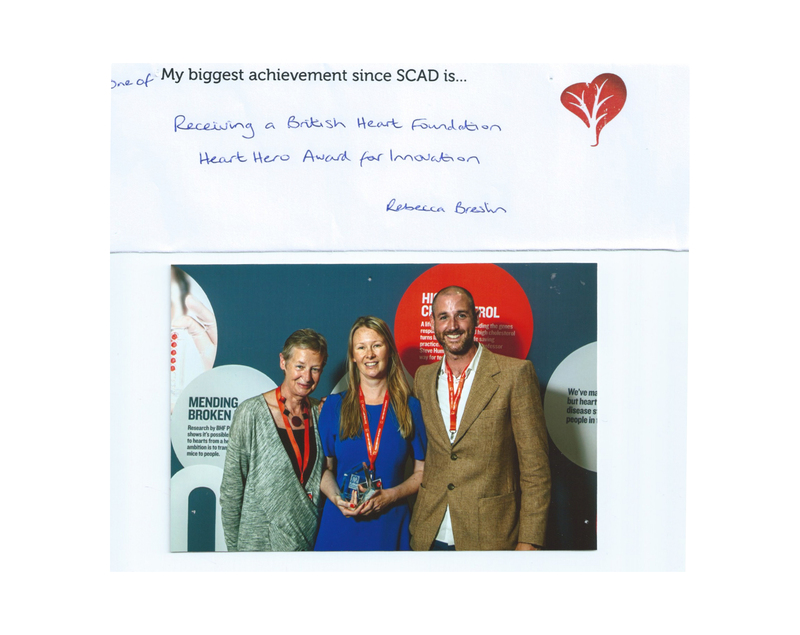 Beat SCAD is very excited to hear that a European SCAD Study Group has been formed and is being co-chaired by Dr David Adlam, who is leading the UK research project, and Christiaan Vrints Professor of cardiology at the University of Antwerp. 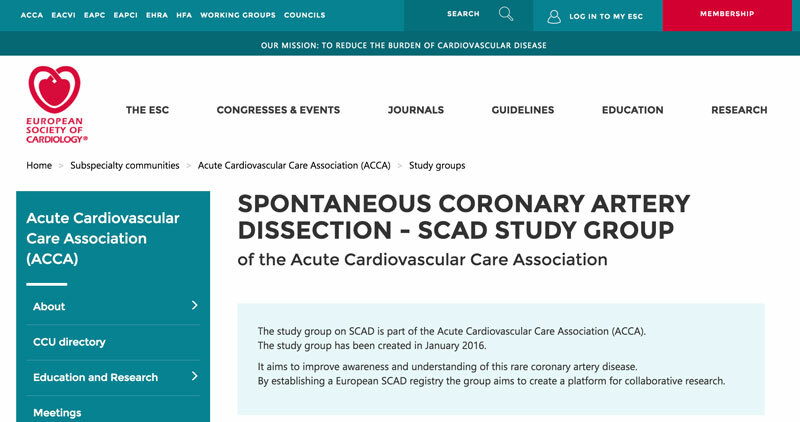 Part of the Acute Cardiovascular Care Association (ACCA), a branch of the European Cardiology Society, the group aims to improve awareness and understanding of spontaneous coronary artery dissection, as well as advise clinicians how to manage patients. 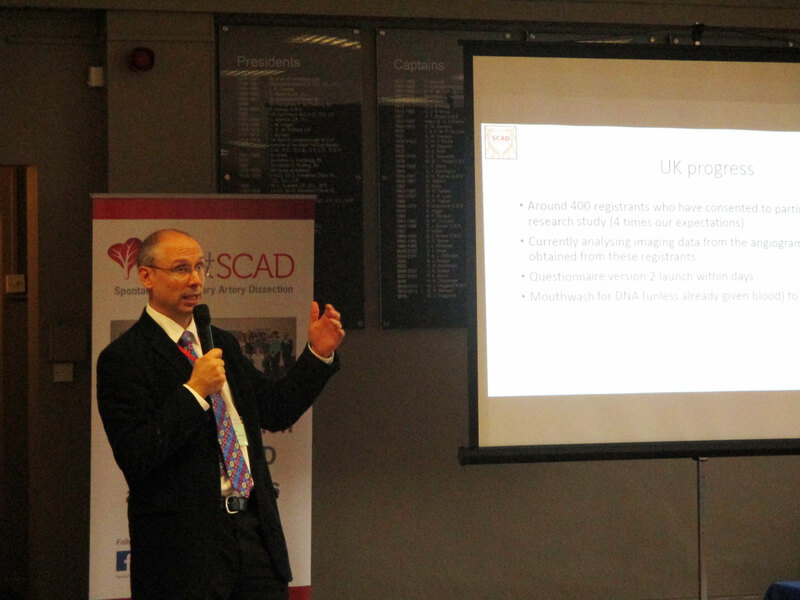 It will also establish a European SCAD registry with the aim of creating a platform for collaborative research. 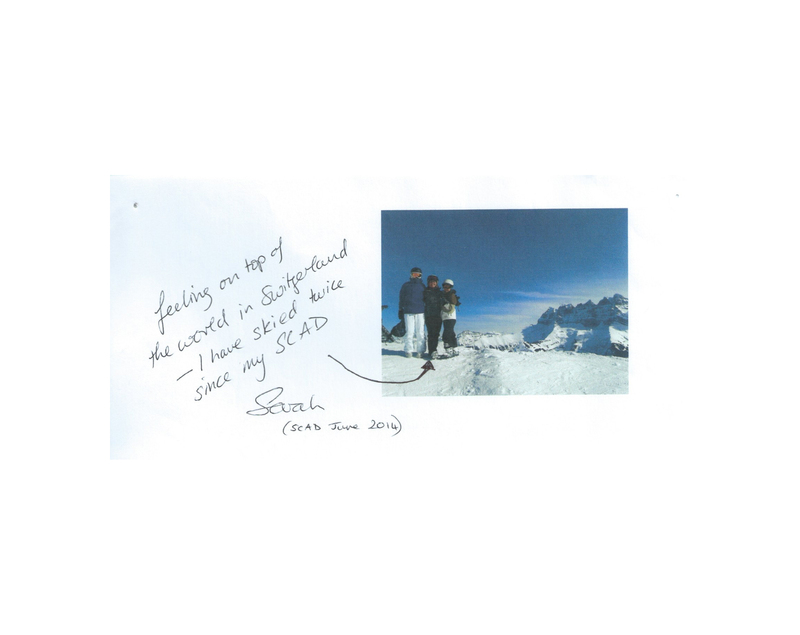 There are currently 40 members of the study group from across Europe. 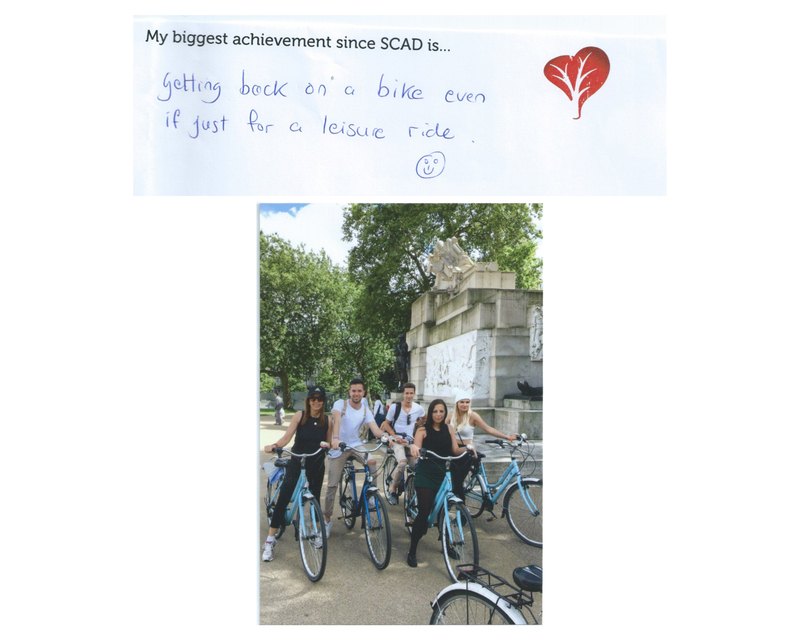 Beat SCAD welcomes this development and looks forward to hearing about developments over the coming months. 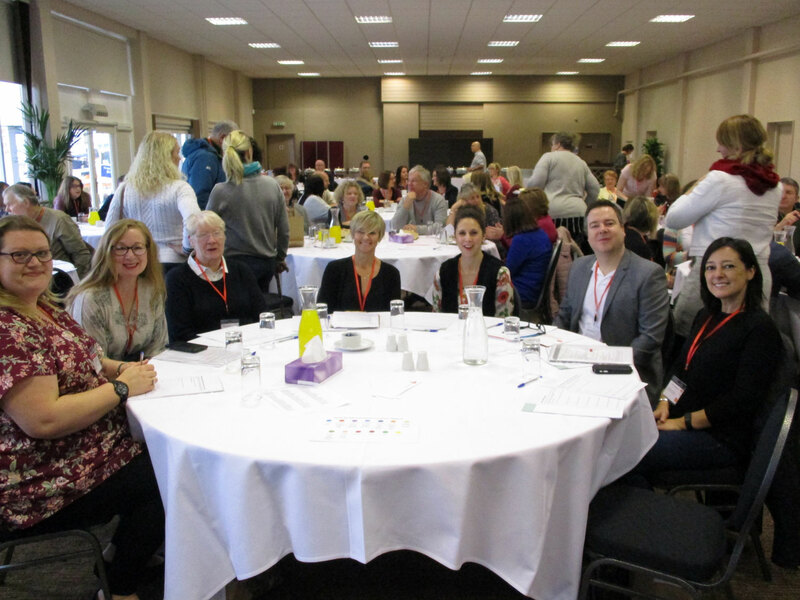 Beat SCAD’s second annual conference on 12 November was a roaring success, bringing together 61 SCAD survivors, smashing the record set last year of 49 SCAD survivors gathered in one place in the UK. 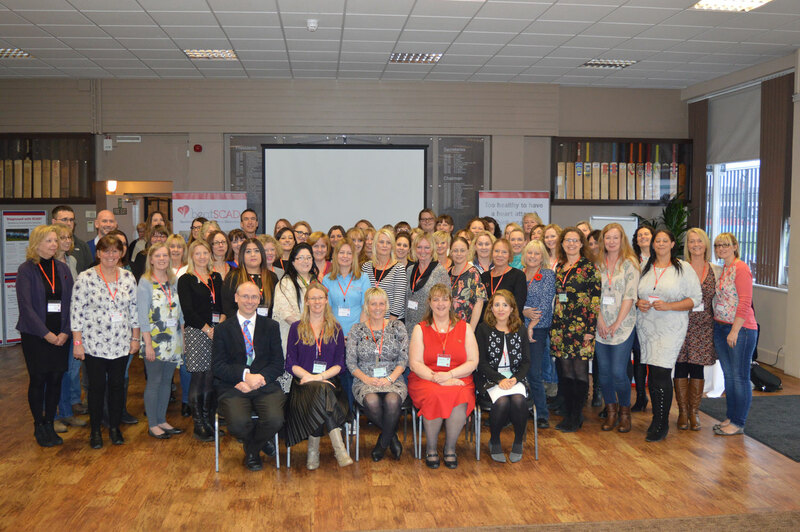 37 of the SCAD delegates were recently diagnosed, having had their events in 2015 and 2016 and one whose SCAD was 12 days before the conference. 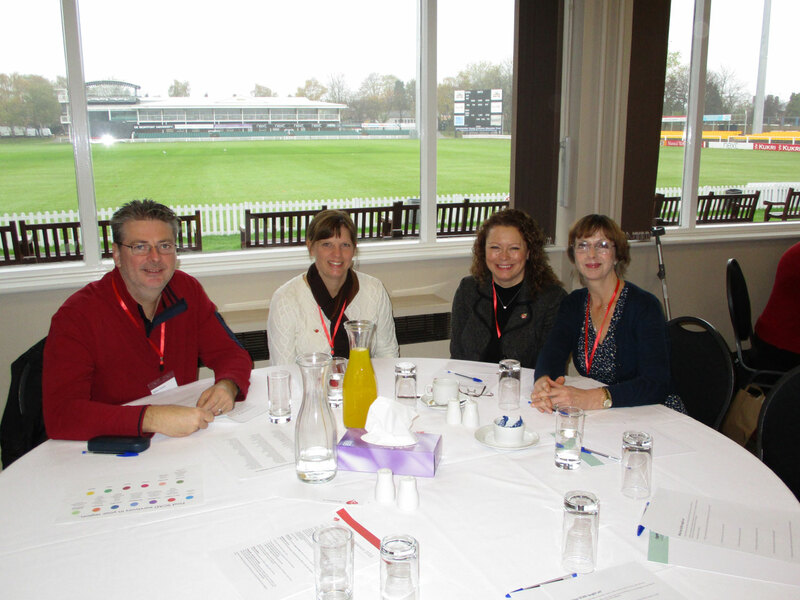 A total of 110 delegates attended the event held at the Leicestershire County Cricket Club, including family and friends of SCAD patients plus representatives from the National Institute of Health Research Leicester Cardiovascular Biomedical Research Unit (NIHR LCBRU), British Heart Foundation (BHF) and the National Institute of Health Research Rare Diseases Translational Research Collaboration (NIHR RD-TRC) – important funders and supporters of the SCAD research under way at Leicester. Click through the gallery below to see some photos from the day. 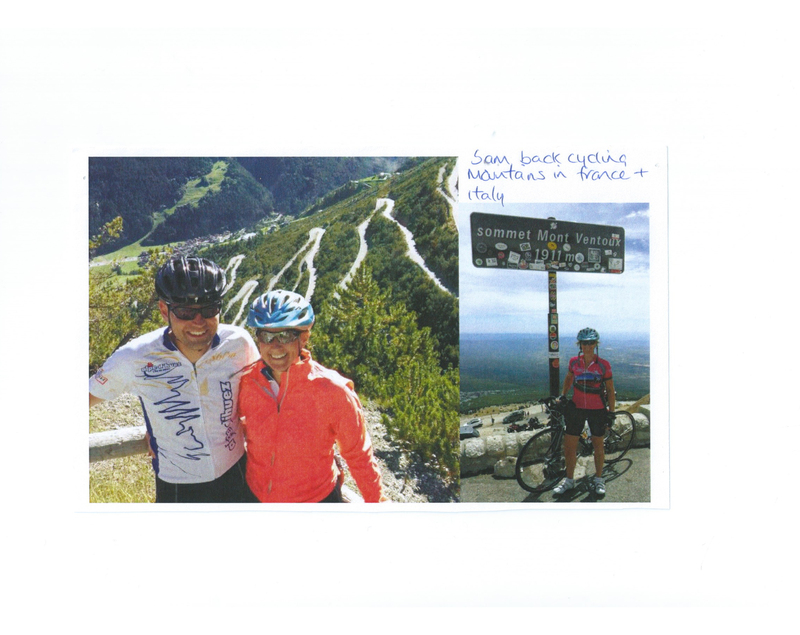 Individual fundraising events, including David Lamont’s London to Paris cycle ride, which raised nearly £7,000, Andy Armitage’s cycle ride, which raised nearly £2,000, and Lizzie Tulip’s Great North run, which raised over £1,100. We also distributed our first annual report highlighting our work during our first year – click here to download a pdf version. 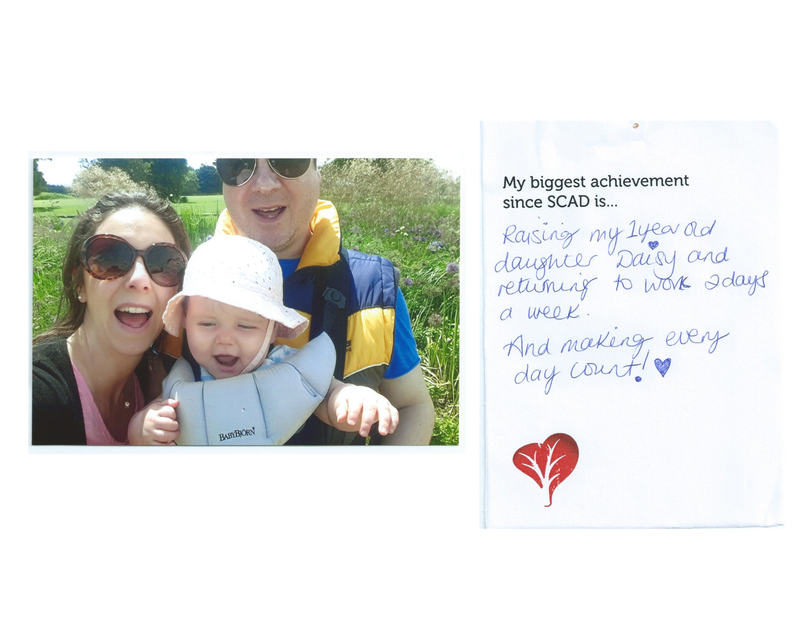 Thanks to all our fundraisers for their hard work, which means Beat SCAD will soon be giving our first donation to the research project – an incredible milestone in our mission. 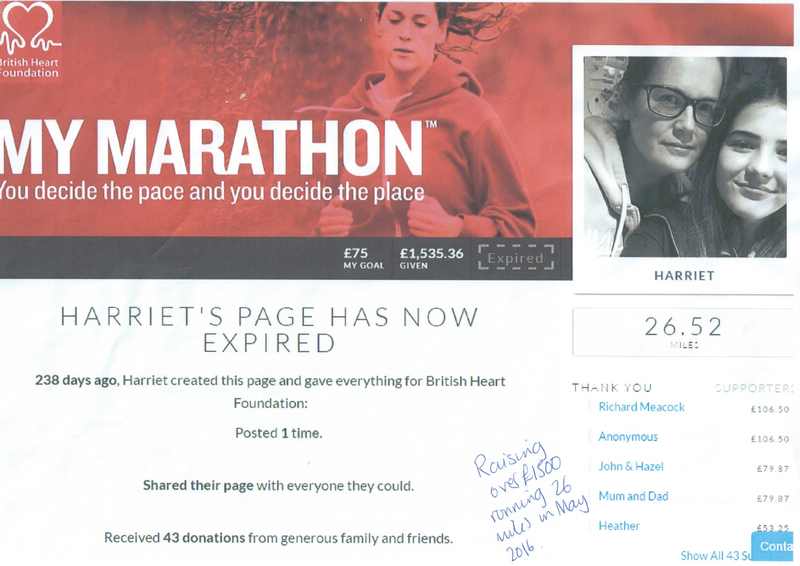 The Trustees are in discussions with the research team to determine how best to use the money so stay tuned for more news. 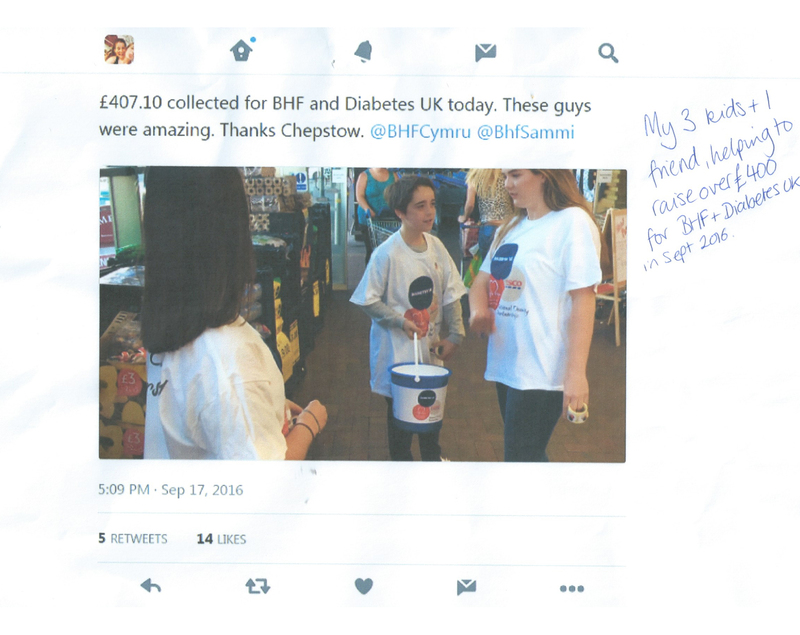 Raising awareness is vital and we have achieved that by attending events, doing radio interviews and producing information material. We have started creating a merchandise line, too, which, as well as raising awareness will raise funds to help us achieve our mission. 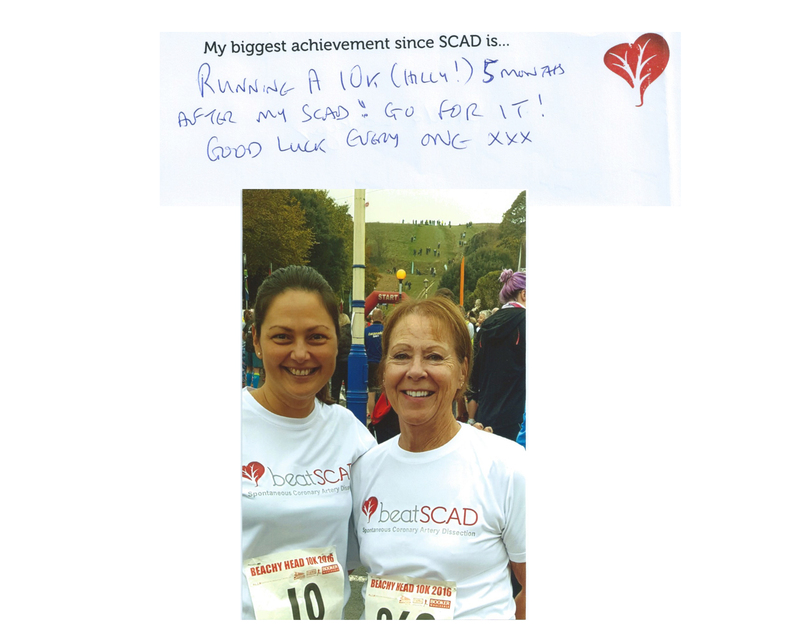 Plans for 2017 include attending more events to talk about SCAD to medical professionals, and creating a Buddy System to help support SCAD patients as well as their families – Beat SCAD will be turning to our fabulous community of supporters for help developing and implementing these plans so please contact us if you would like to find out more or to kindly offer your expertise. 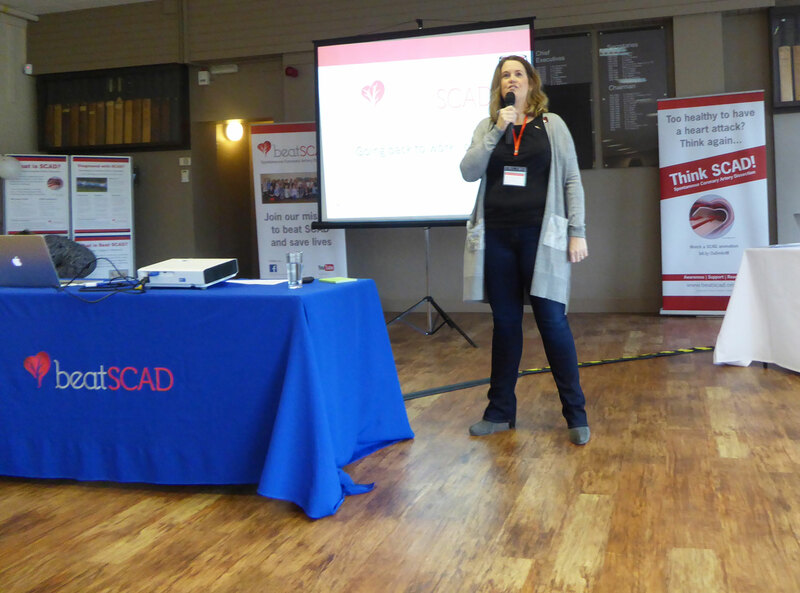 After the opening plenary session, the delegates split into two groups, with the session content for the first group focusing on the first two years after a SCAD event. 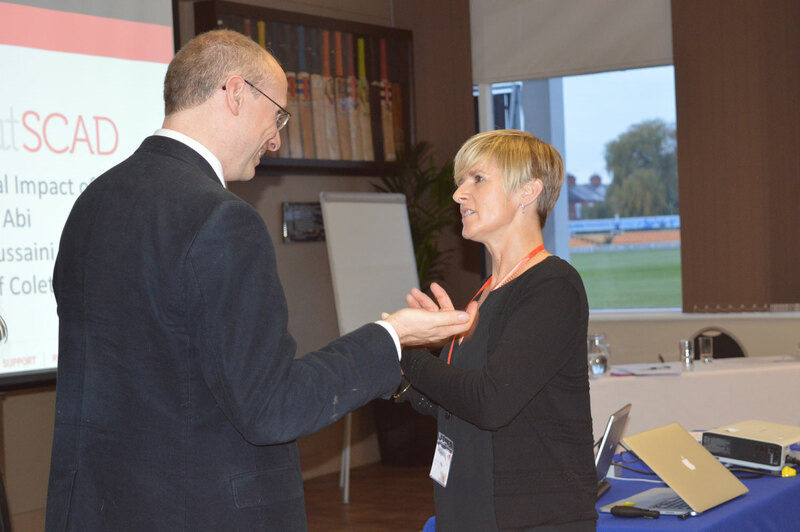 Dr David Adlam, Senior Lecturer, Department of Cardiovascular Sciences, University of Leicester, who is leading the UK research, delivered a ‘SCAD 101’ session with his usual charisma and sensitivity to his audience. 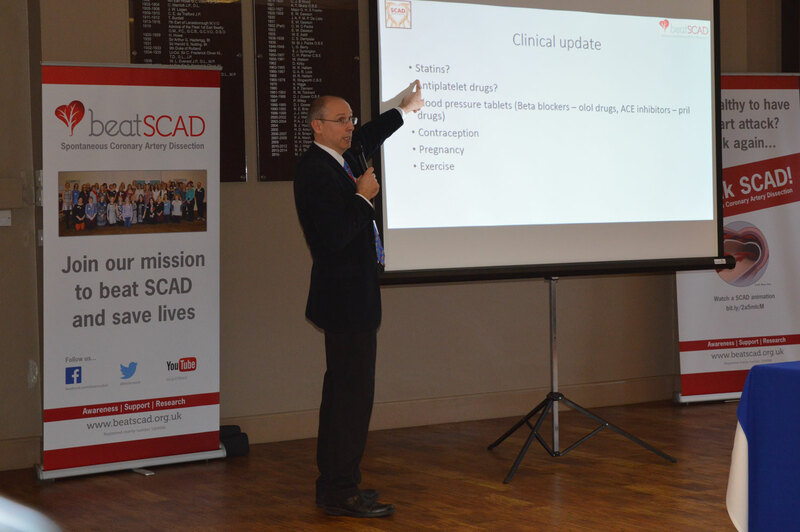 He explained what SCAD is, how it is diagnosed and treated, as well as discussing common post-SCAD symptoms, such as ongoing chest pain and arterial spasms. 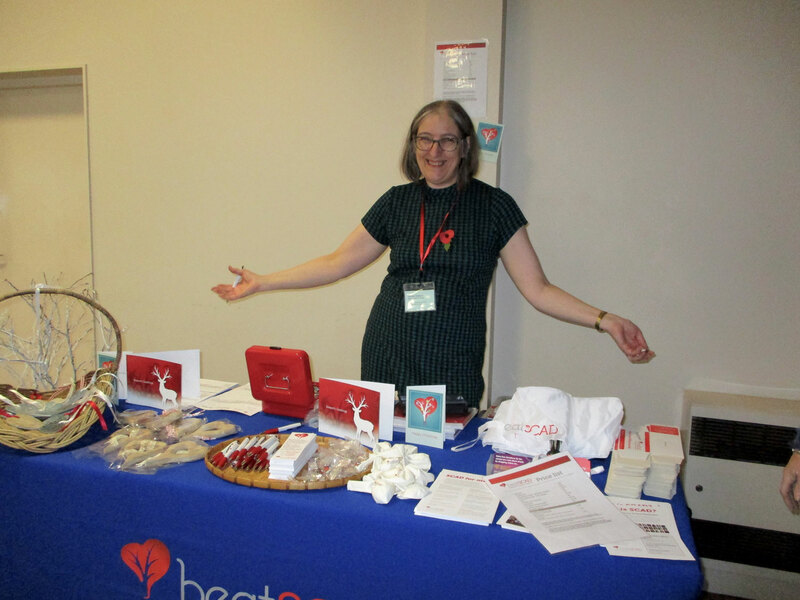 After an inspiring talk at the Beat SCAD launch in 2015, Sally Bee, a Heart Healthy Cook, Author and Presenter on ITV’s Lorraine Show was again scheduled to speak about ‘Adjusting to life after SCAD’ but sadly was unable to attend following an accident the previous day (we missed you Sally and wish you a speedy recovery!). 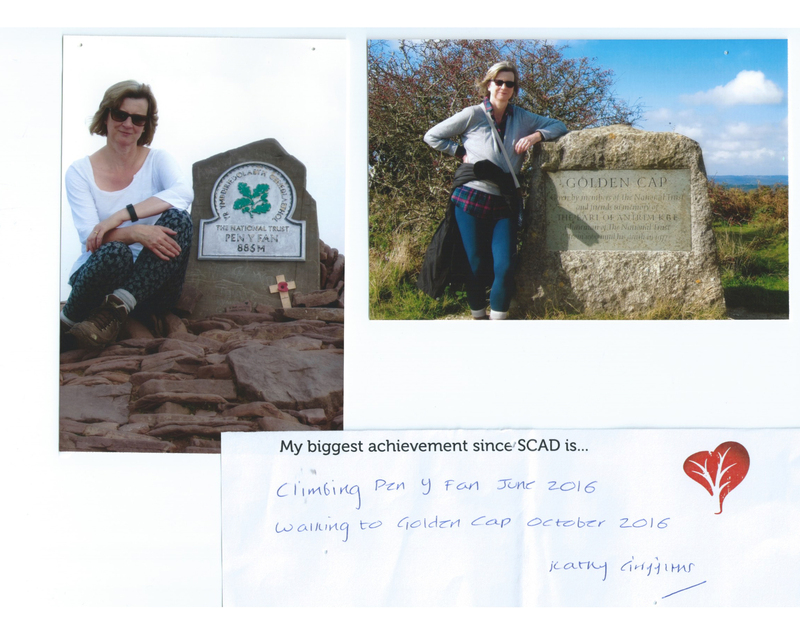 Gaye Barber, who had her SCAD in 2015 as she was delivering an important pitch at work, bravely stepped into Sally’s shoes and gave an honest and moving account of her SCAD experience while showing great strength in her recovery (well done, Gaye). The second group focused on topics for delegates who are further along in their SCAD journey. 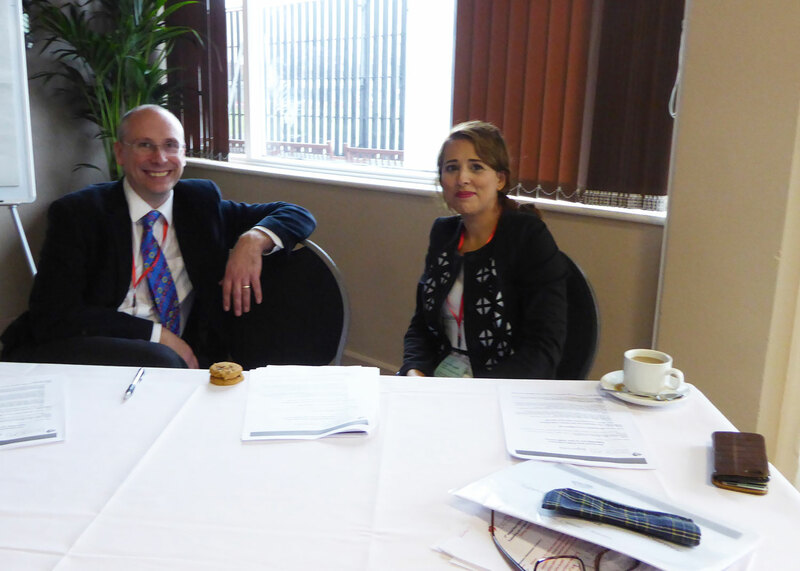 Dr Abi Al-Hussaini, Interventional Cardiologist and NIHR Research Fellow, who has seen around 140 SCAD patients as part of her work with the Leicester SCAD Research Project discussed how important it has been for SCAD patients to tell their story to someone who ‘gets it’ and she has been able to facilitate this during the research days. 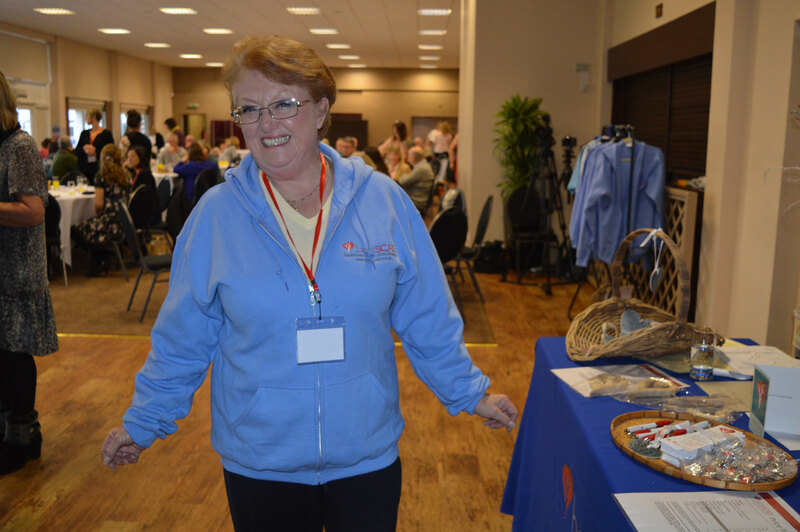 She also discussed the stages of grief, making the point that it’s normal to have feelings of anxiety, anger and low mood after a traumatic event, but eventually the hope is that patients will move towards acceptance and feelings of positivity. 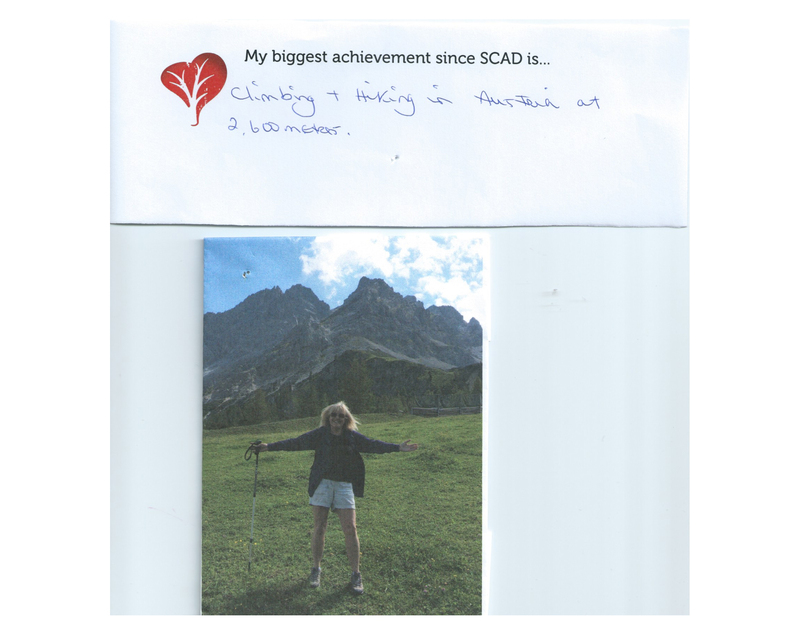 SCAD patients have different experiences with cardiac rehabilitation, with many being by far the youngest and fittest in their group, as well as being faced with medical staff who lack knowledge and understanding of the condition. 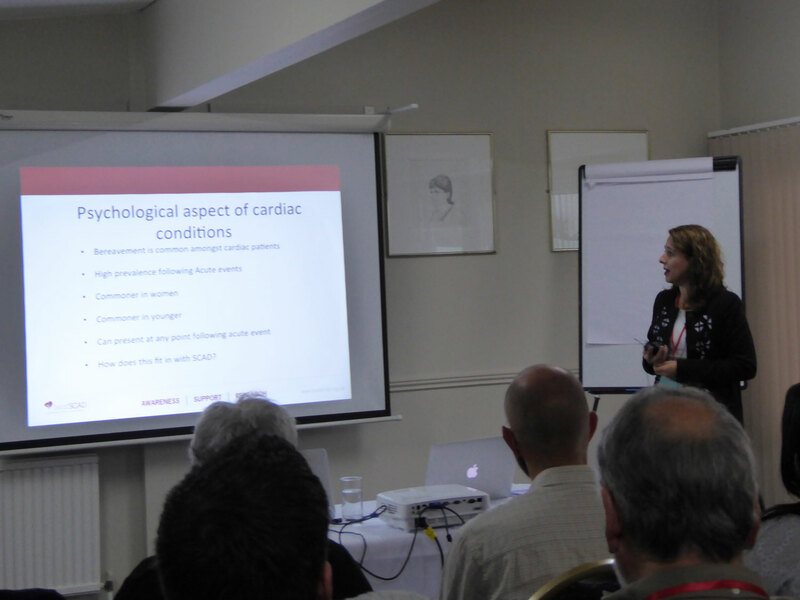 Nikki Gardiner, Clinical Lead for Cardiac and Pulmonary Rehabilitation, Leicestershire, discussed what cardiac rehab involves and why it is important, making the point that there is a need for a different type of cardiac rehab for SCAD patients as they don’t fit the ‘classic’ heart attack profile. 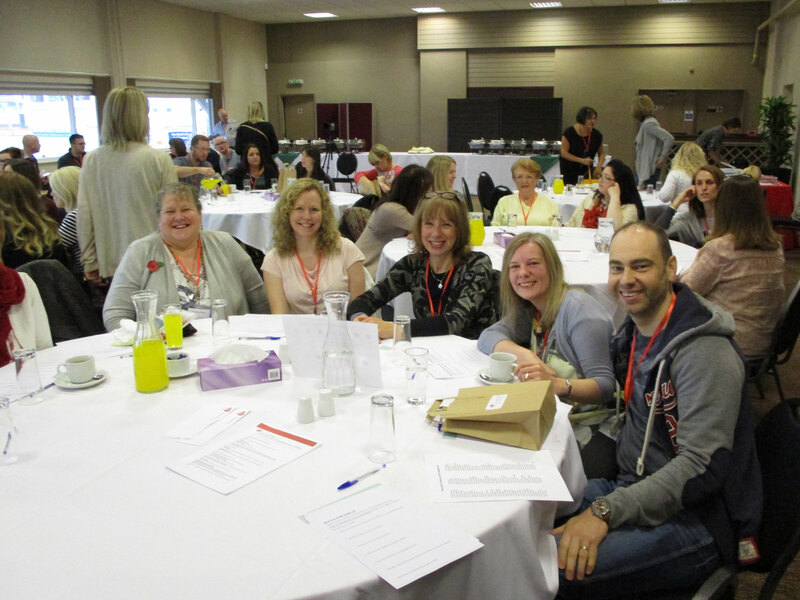 Delegates then had the opportunity to ask questions about exercise specific to SCAD patients. 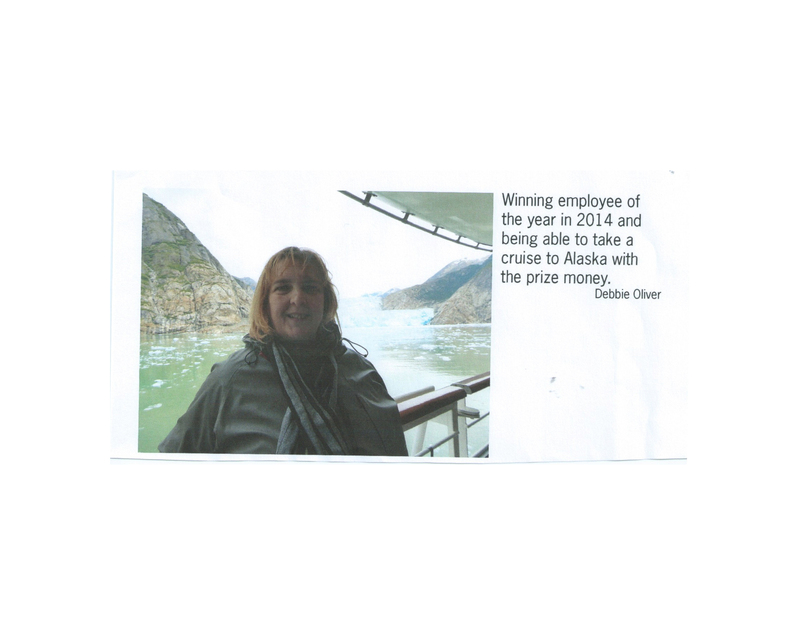 Some SCAD patients have to make decisions about whether to return to work and if they do, whether they should work full or part time. Many find it daunting discussing this with their employer, and Harriet Mulvaney, HR Consultant and former Director of Human Resources, told the delegates how she re-evaluated her life and priorities following her SCAD in 2014, which led to a decision to leave her high-powered job, start her own business and achieve a better work-life balance. 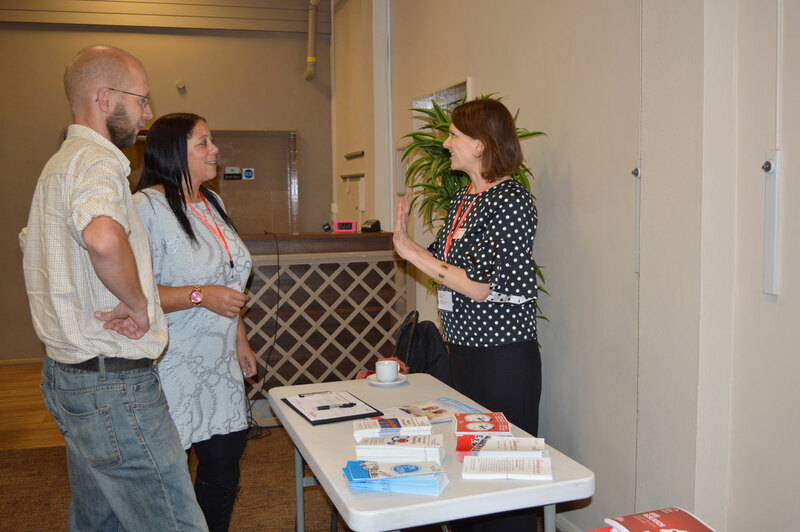 She offered invaluable information and advice on employee rights, employer responsibilities and how to prepare and discuss options such as phased returns, job changes or negotiating an exit with employers. 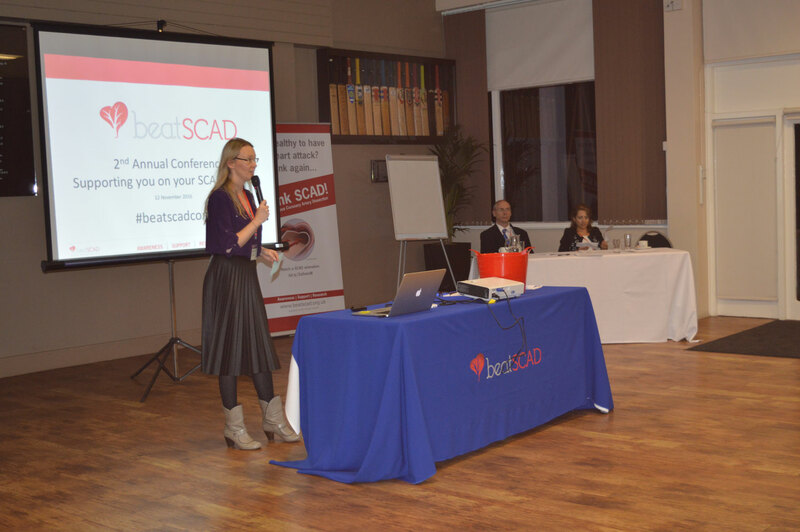 Before lunch, we asked delegates to discuss what Beat SCAD should prioritise in the coming months as well as how each delegate can help – we’ll update you on this once we’ve analysed the results. 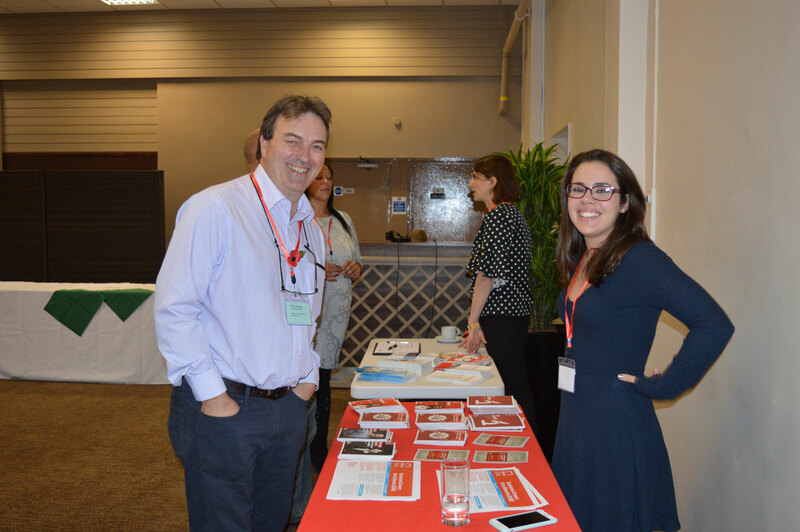 After lunch, Dr Adlam gave the keynote address, updating delegates on the progress of the research project – this is the most important part of the conference for many attending and all eyes were on Dr Adlam as he covered as much information as possible, while taking care not to overload the delegates with medical jargon. 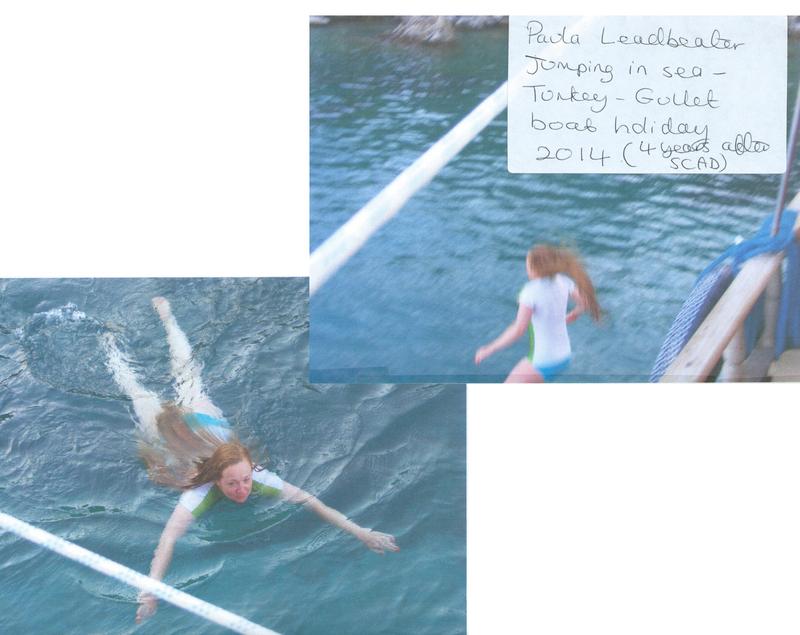 The researchers are currently analysing the results of the tests that have been done on 110 SCAD patients and 40 healthy volunteers, so there will be more about the results in the coming months. 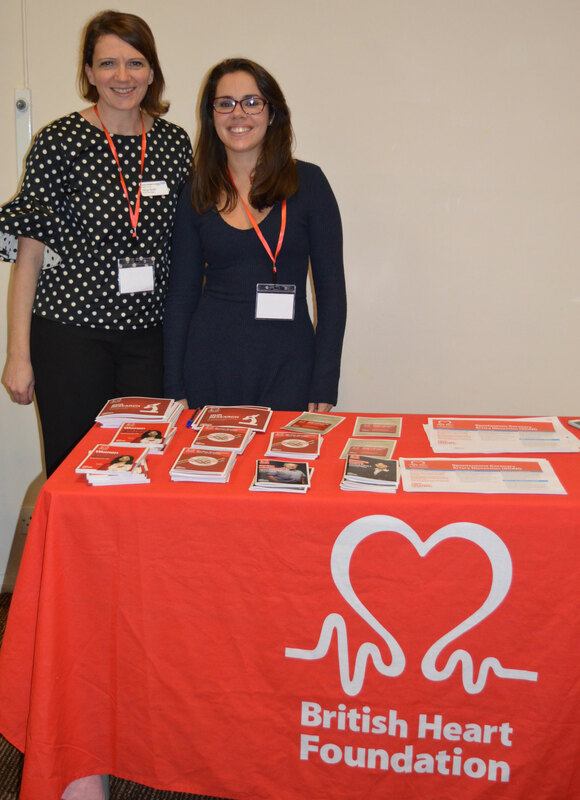 The research, funded by the BHF and NIHR, has raised lots of questions and opened up potential new avenues in terms of exploring theories about what causes SCAD. 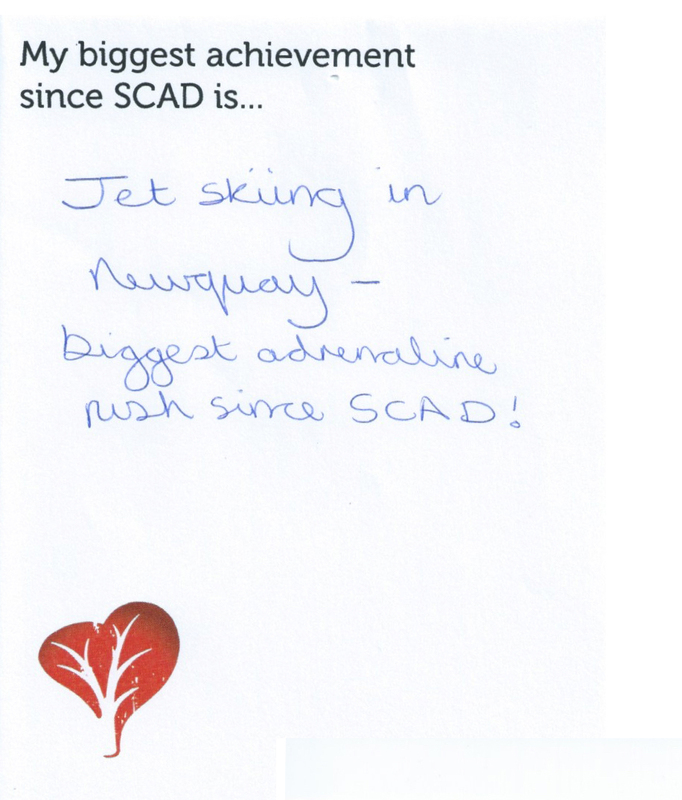 There are more than 400 SCAD patients waiting to be part of the research and the research team is applying for more funding in order to continue the work. 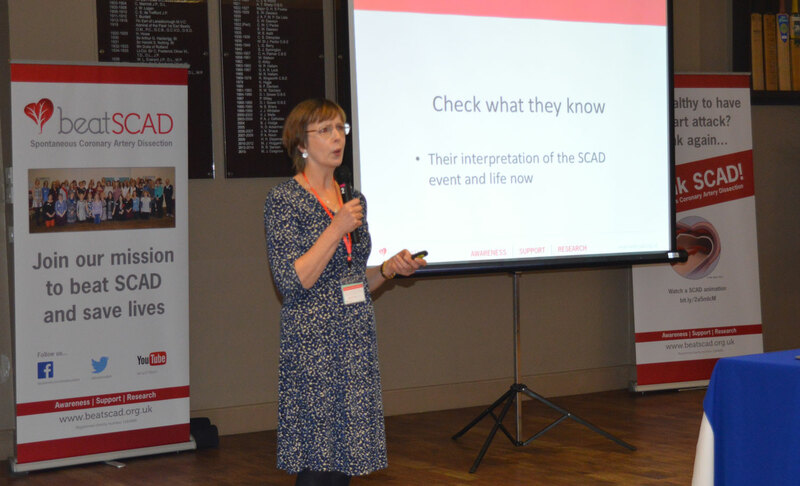 Dr Adlam discussed the recent news that a European SCAD Study Group has been launched, with support from the European FMD (Fibromuscular Dysplasia Group). 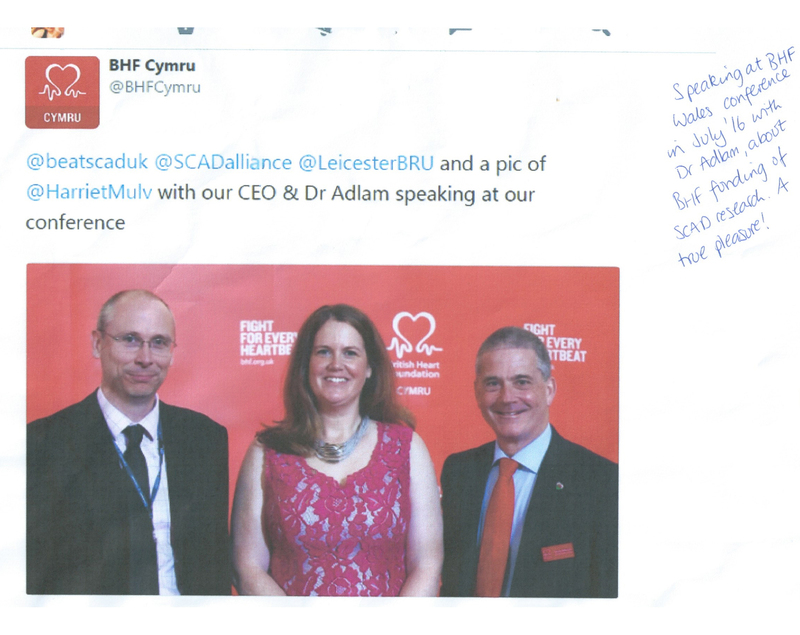 Many SCAD patients have been found to have FMD so this is an important partnership. 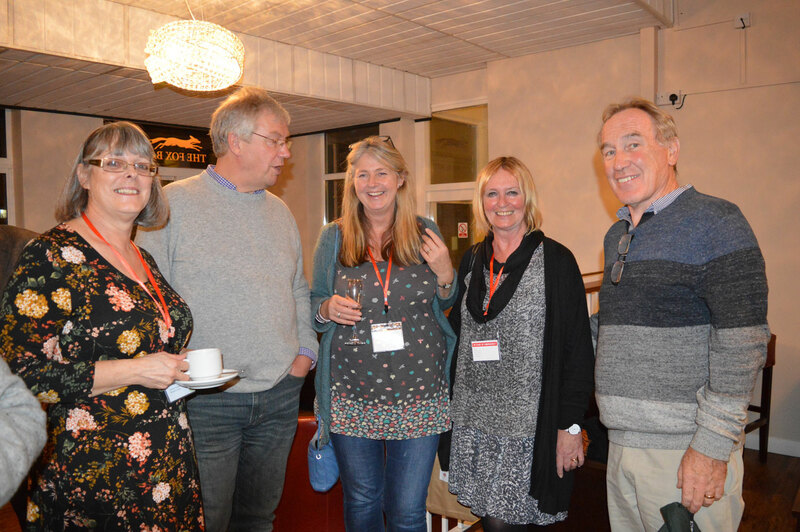 Members of the Group include Dr Adlam, cardiologists Angela Maas from The Netherlands, Christiaan Vrints from Belgium and Fernando Alfonso from Spain. 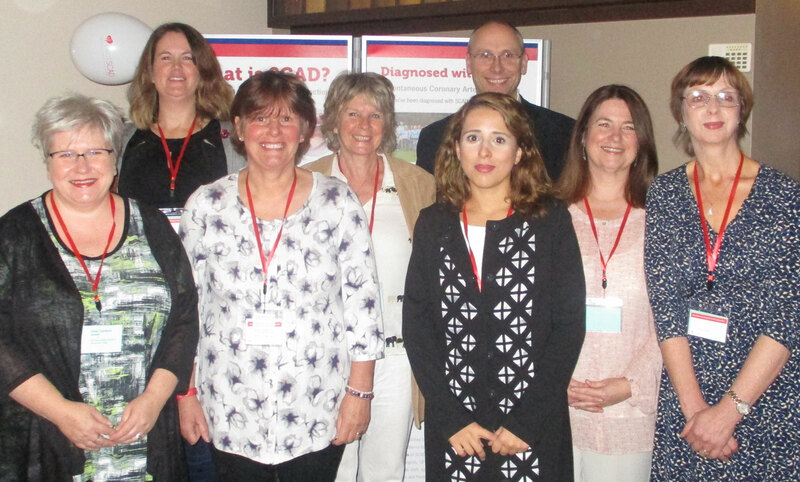 The Group’s aims include maintaining a European registry of SCAD patients, formulating a European consensus on the diagnosis and management of SCAD; improving accurate diagnosis by raising awareness of SCAD; and supporting patients. 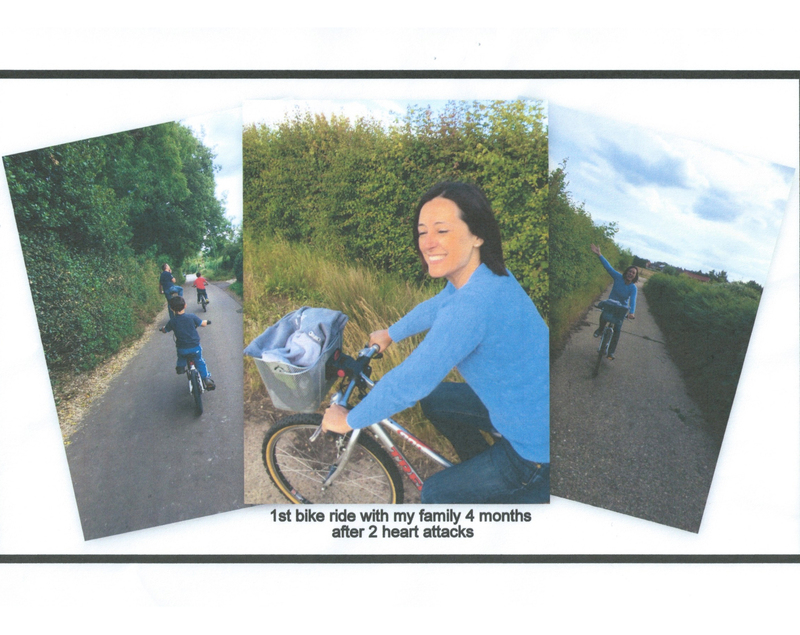 For more, see http://m.eurheartj.oxfordjournals.org/conte…/…/3073.full.pdf and http://www.escardio.org/Sub-specialty-communities/Acute-Cardiovascular-Care-Association-(ACCA)/Study-groups/scad. 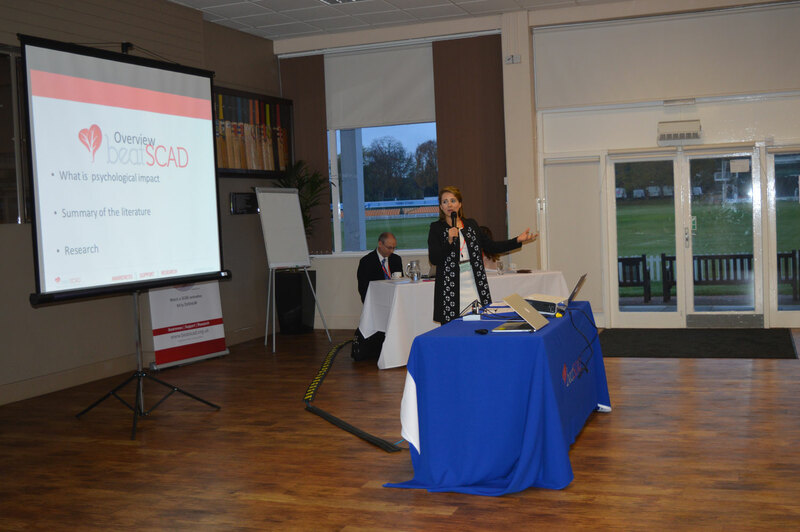 Following Dr Adlam’s presentation, Catherine Mulcaster, Registered MBACP Accredited Counsellor/Psychotherapist and Supervisor, led a panel session on managing the psychological aspects of SCAD. 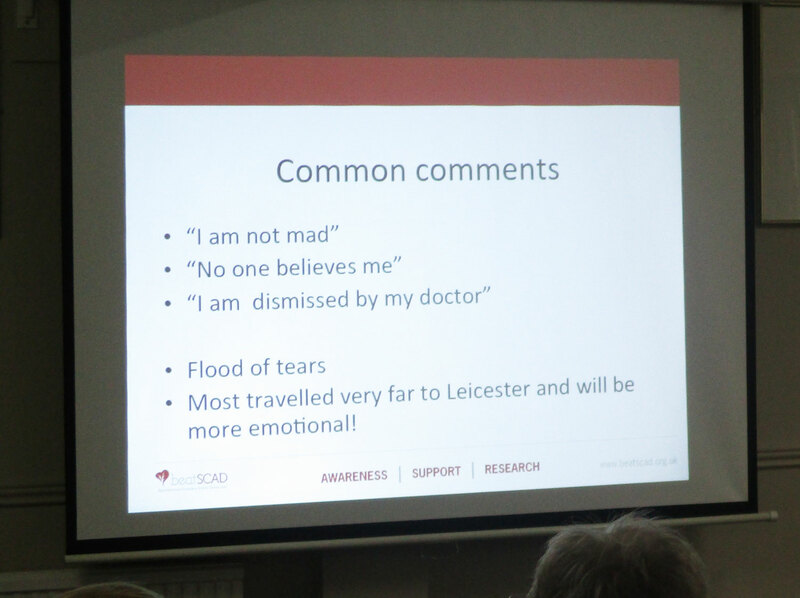 Dr Abi talked about hyper-vigilance, panic and anxiety being normal following a traumatic event and discussed a recent literature review on the psychological impact of SCAD, undertaken by SCAD patient Colette Soan. 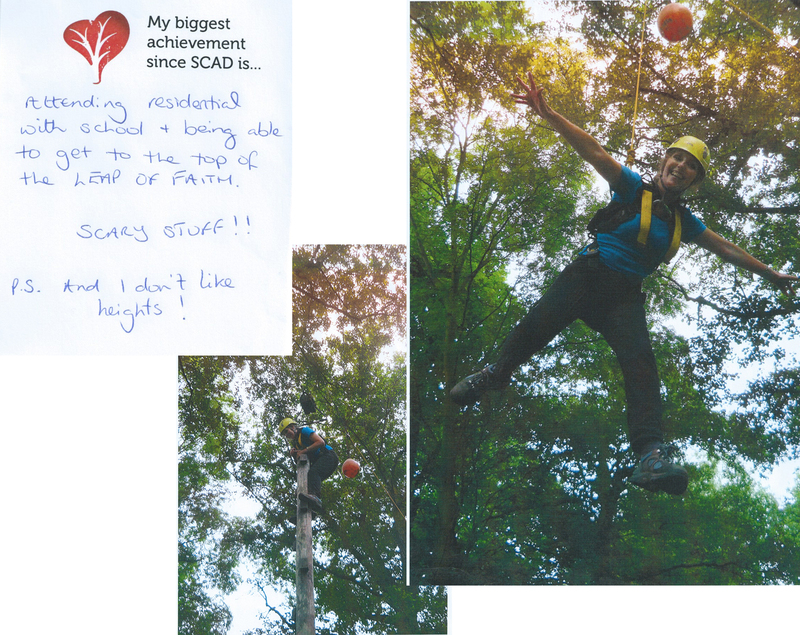 Some SCAD survivors have been found to experience ‘at least’ moderate anxiety and some have experienced depression or post-traumatic stress disorder (PTSD). 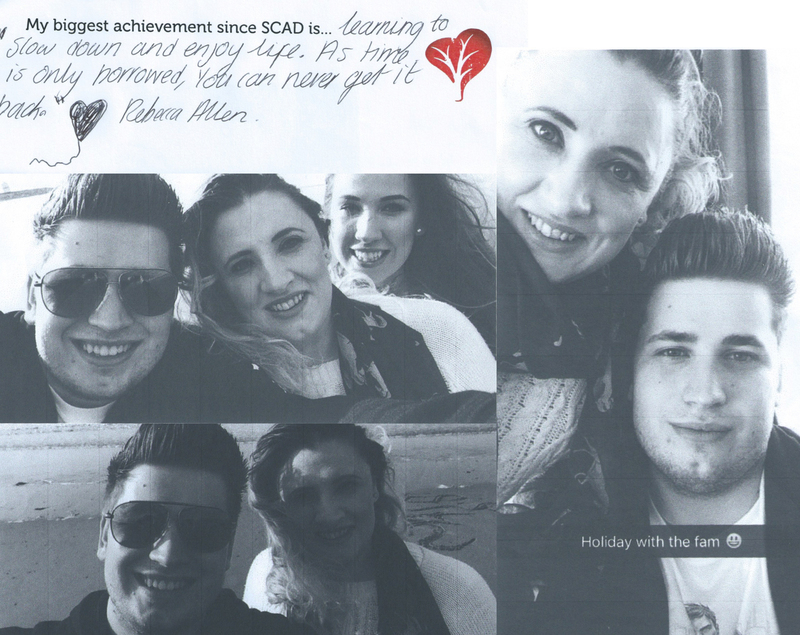 Higher scores of anxiety and depression were seen closer to the SCAD event and if the survivor was young and peripartum. 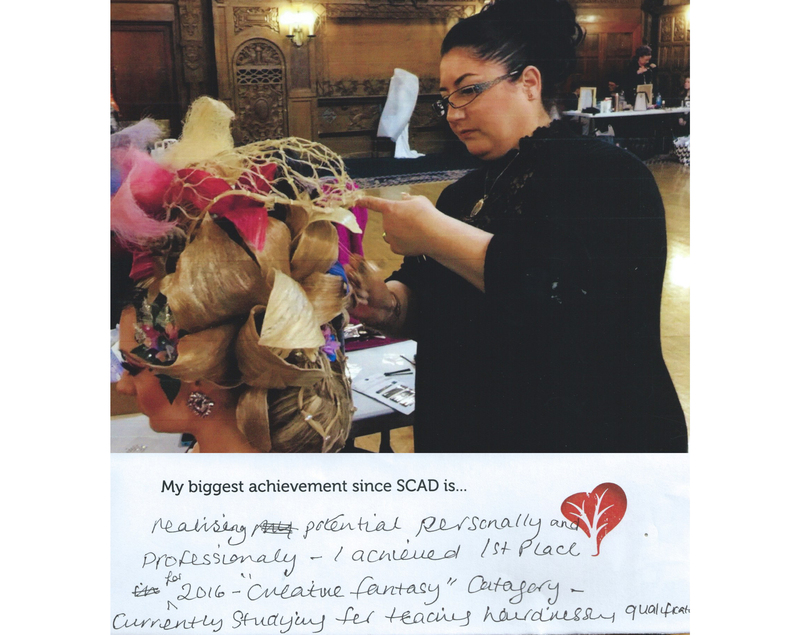 Prior to SCAD, nearly 40% had a history of depression and nearly 60% experienced intense emotion or stress prior to the SCAD event. 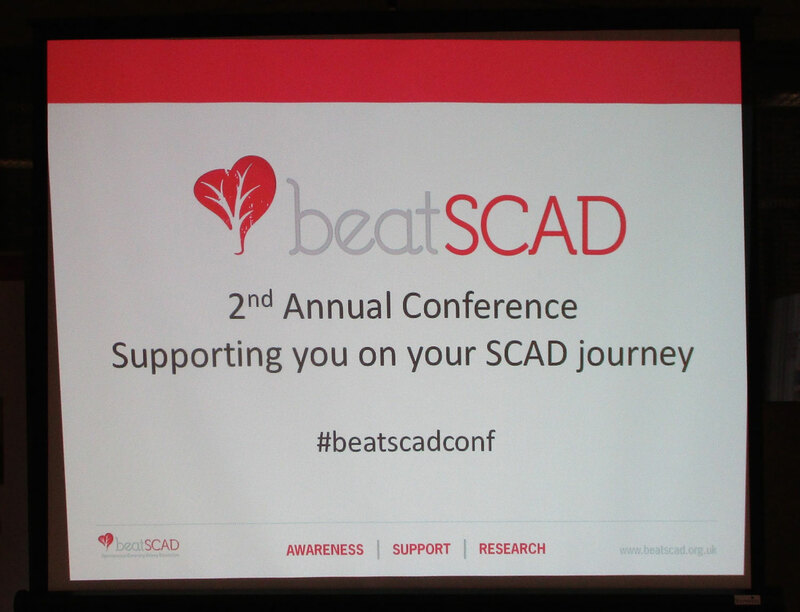 SCAD survivors who took part in cardiac rehab experienced a significant improvement in terms of depression and reported emotional benefit. 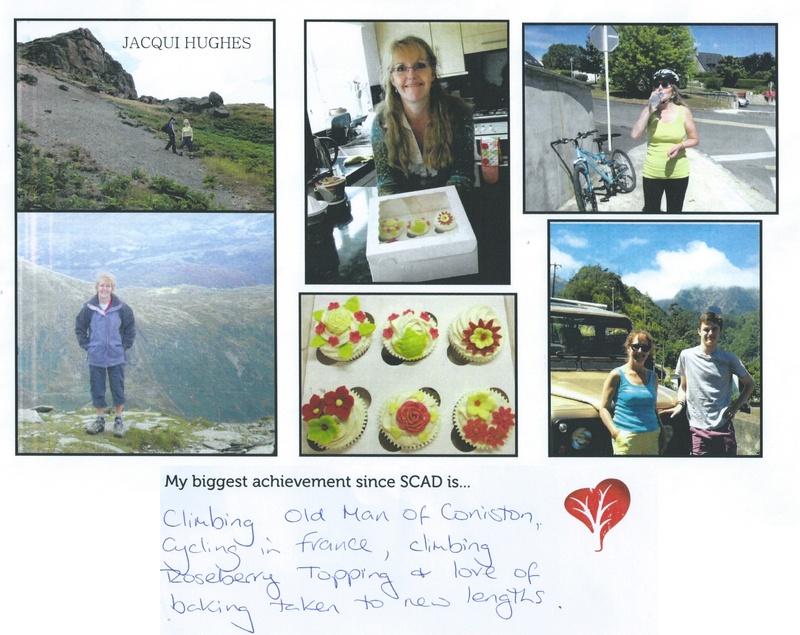 Catherine discussed what SCAD patients can do to help themselves and access help from family, friends, the medical profession and Employee Assistance Programmes. 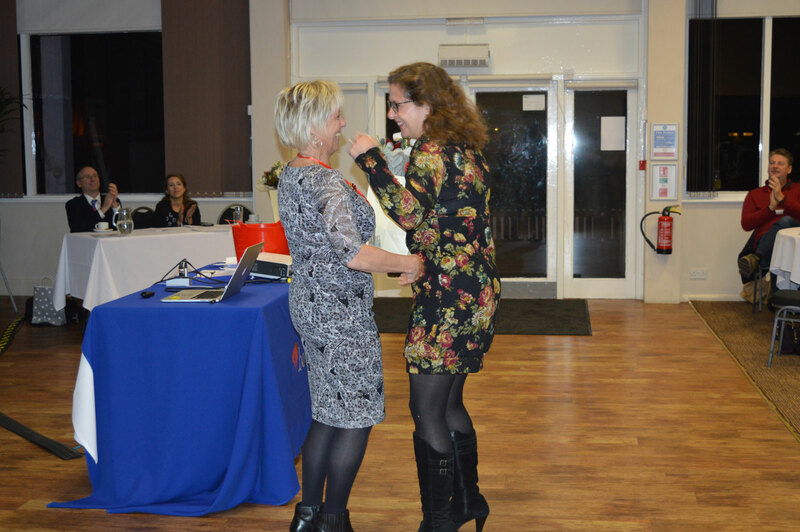 She outlined different types of help, such as medication, talking therapies including cognitive behaviour therapy (CBT), life coaching, hypnotherapy and mindfulness. Catherine Beck, retired Health Play Specialist and 17-year SCAD survivor, spoke on how to talk to children about a SCAD event. 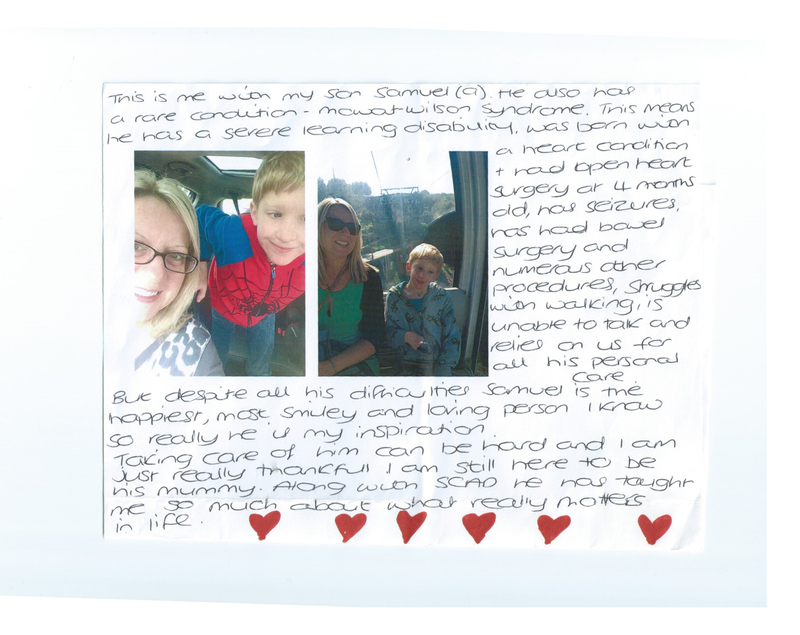 Many SCAD patients have children who may have been frightened or traumatised by what has happened to their parent. Talking to them honestly and in an age-appropriate way is important. 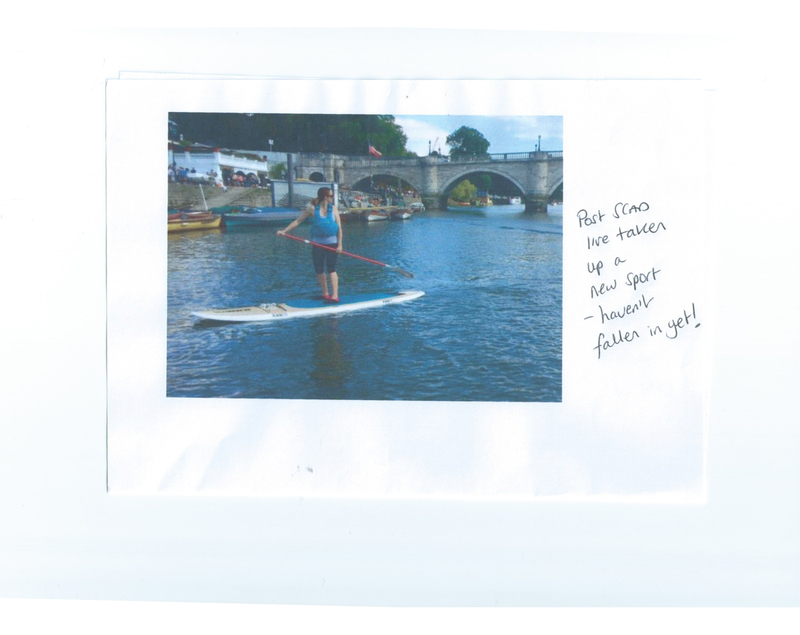 Catherine gave some tips on how to achieve this. 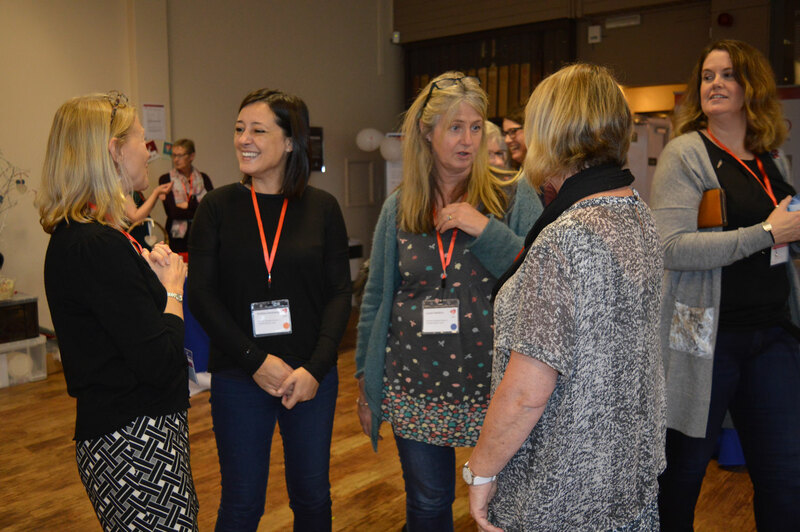 After another opportunity to network with other delegates and discuss what SCAD patients, family and friends have achieved since SCAD, Dr Adlam answered questions that had been placed in the ‘question bucket’ during the day. 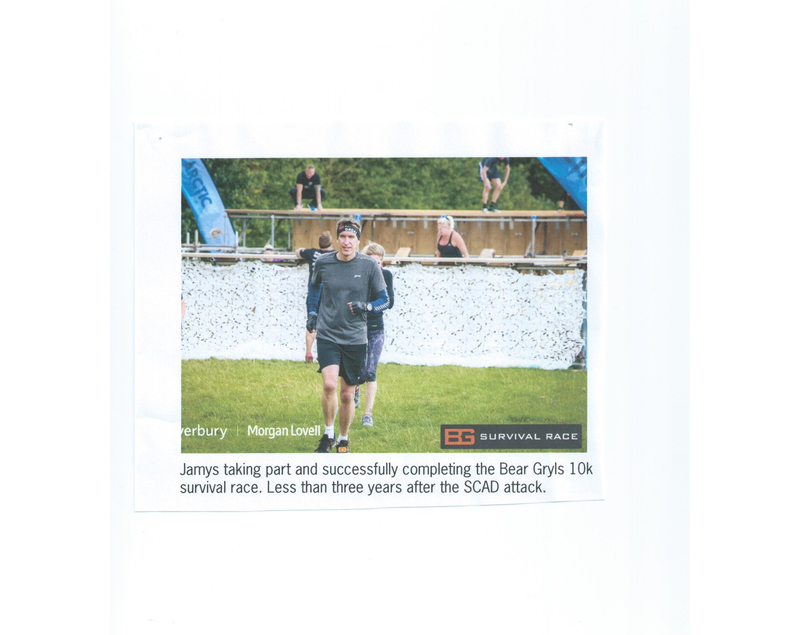 Topics included medication, exercise, SCAD recurrence rates. 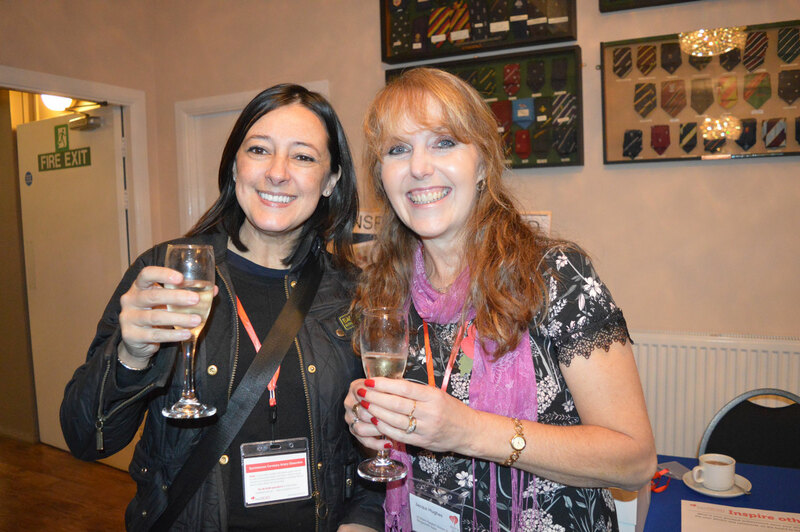 The conference ended with a drinks reception for delegates – complemented by the fabulous and tasty Beat SCAD themed cupcakes made by SCAD Survivor Jacqui Hughes. 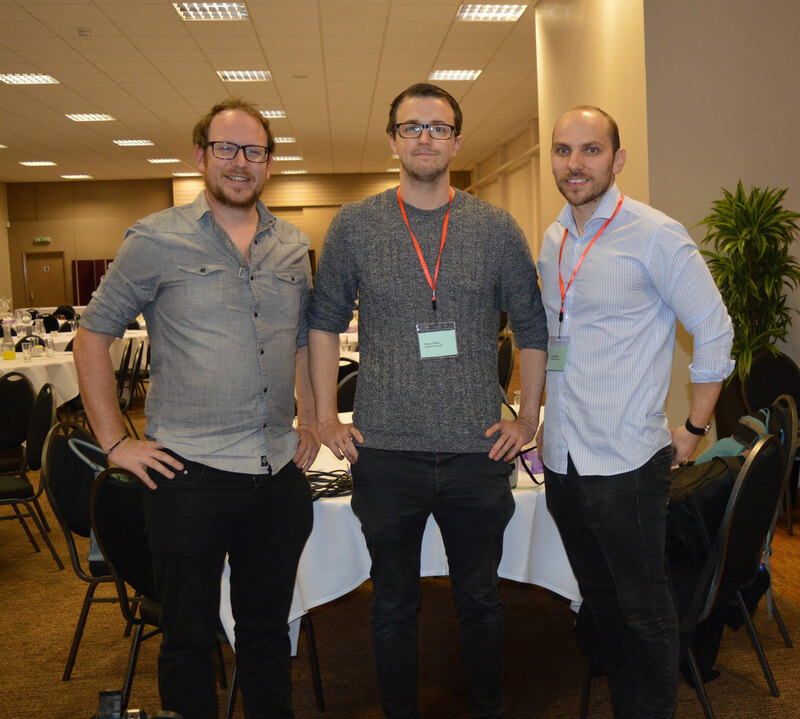 Beat SCAD would like to thank all the delegates, speakers, guests from the LCBRU, BHF and NIHR, volunteers and the film crew Theo Leeds and Rob Dawes from ADLS Productions and Drew Davis from Future Proof Films. 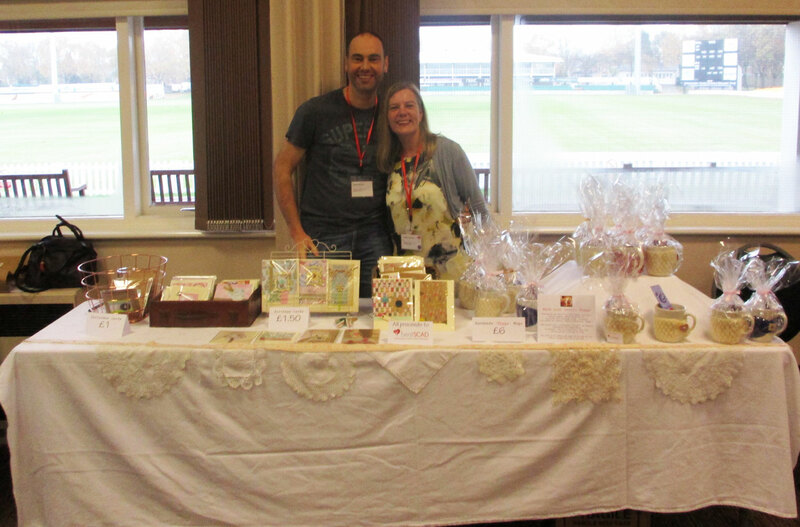 Thanks also to the Leicestershire County Cricket Club staff for helping to make the day run smoothly. 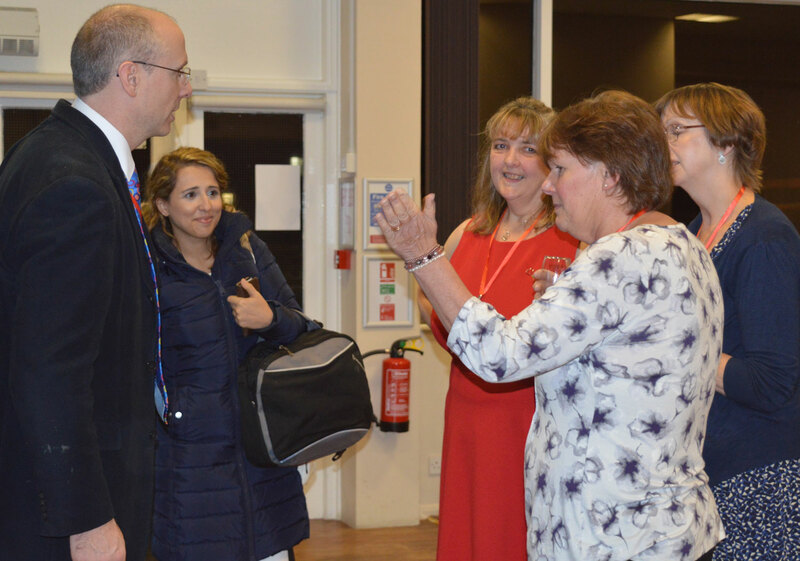 Videos of the presentations are currently being edited so we will post those, as well as the slideshows from the day, as soon as we can.